The Store That Thanks You With A Smile. 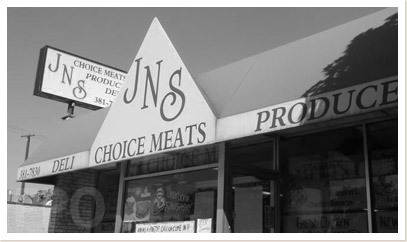 Welcome to JNS Market! We are a full service market with multiple fresh cut meats and a complete deli with meats, cheeses and fresh salads. Established in 1959, it has always been family owned and operated by the Thomasian family. We still live by our long standing motto "If we wouldn't take it home, it doesn't go into our meat counters." So stop in to see us and let us help you make your day taste that much better! Only the finest cuts of pork, natural casings and of course our family's secret recipe of spices! It's the best around!